UPDATE: Feb. 13, 2019: Mayor Catherine Pugh confirmed Tuesday that she will sign the Baltimore Clean Air Act, saying that the city must now pursue waste disposal alternatives, according to the Baltimore Sun. The mayor will be seeking ideas from both city government and the private sector. News of Pugh's support originated from a video shared by the Energy Justice Network, an advocacy group behind the legislation. 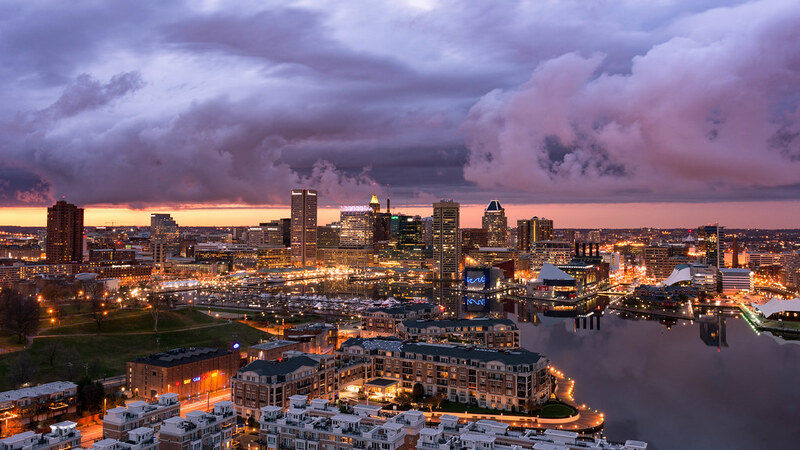 UPDATE: Feb. 12, 2019: The Baltimore City Council voted Monday to approve the Baltimore Clean Air Act, as reported by the Baltimore Sun. The measure was passed 14-0 without debate or a roll call vote, despite opposition from Wheelabrator, the NWRA and others. Some council members have also raised concerns regarding the potential financial repercussions of shutting down Wheelabrator Baltimore. New analysis from the city's Department of Public Works estimates that the city could end up spending $10-22 million per year on tip fees at outside landfills, in addition to various other costs. According to a spokesperson, Mayor Catherine Pugh supports clean air policies but needs to review the legislation before deciding whether to sign. A Wheelabrator executive previously suggested the company would issue a legal challenge if the bill ultimately becomes law. The Baltimore City Council voted 12-1, with two abstentions, to move the Baltimore Clean Air Act forward on second reading at its Feb. 4 meeting. Two waste-to-energy (WTE) facilities — Wheelabrator Baltimore and Curtis Bay Energy — say the proposed emissions standards are so stringent that they may be forced to shut down. The legislation includes standards for nitrogen oxide, mercury and sulfur dioxide that go beyond current state requirements, as well as limits on dioxins and furans. The bill would also require regular public emissions reports, periodic inspections and new penalties for any violations. "As advocates of environmentally and fiscally responsible approaches to waste management, we disagree with the City Council's decision to advance this legislation without regard for its environmental or economic consequences," said Jim Connolly, vice president of environmental health and safety for Wheelabrator, in a statement. "This is not the clean air bill it purports to be." Calls to shut down Wheelabrator's 1985 plant, known as BRESCO, have drawn increasing support among state and local officials in recent months, with critics highlighting the facility's environmental and public health effects on what has been described as an already overburdened community. Both the city's Health Department and Commission on Sustainability have come out in support of the bill. Last week's 7-0 committee vote in favor of the legislation dealt an encouraging victory to local environmental groups — and a potentially significant blow to Wheelabrator, which has repeatedly stressed the facility's crucial role in both reducing fossil fuels and fulfilling the region's waste disposal needs. Wheelabrator recently launched a website called GetTheFactsBmore.com and has been mailing out flyers to spread its message. As noted by Connolly in his statement, the company maintains that the bill could negatively affect air quality by creating upward of 37,000 new truck trips to area landfills. It also cites support for WTE over landfills from the U.S. EPA and numerous high-profile international bodies. The Clean Air Baltimore campiagn, backed by the Energy Justice Network, refuted these claims on its own website. According to Baltimore's Department of Public Works, the facility is a key part of regional waste infrastructure: in addition to generating an estimated $7.3 million in annual host fee revenue, BRESCO pays $2.51 million to tip ash at Baltimore's Quarantine Road Landfill. DPW is working to expand that site, but says disposing the full 200,000 or more tons of annual city waste at the landfill could result in "drastically reduced life capacity" as well as a decline in tip fee revenue from outside sources. If BRESCO were to shut down entirely, rather than just temporarily close for retrofits, DPW projects the city could also need to find alternative disposal sites in neighboring states that would come at a higher cost than the current $54.95 per ton it pays now. Baltimore's contract with BRESCO runs into 2021. Supporters of the Clean Air Act argue that the need for disposal could be mitigated with more robust recycling and organics recycling efforts, insisting that the bill is the only way to force the issue. "The Clean Air Act is a momentous change and will bring momentous changes in the way the city operates — but until the Clean Air Act is law, plans will not be made," said Council Member Mary Pat Clarke during the vote. Both abstentions came from co-sponsors of the bill — council members Eric Costello and Leon Pinkett — who cited their concerns with the apparent rush to passage without new fiscal analysis. Pinkett described it as a "failing" on the council's part, while Costello deemed it "very irresponsible." Other considerations noted in the council meeting include the impact on Veolia, which currently utilizes energy from BRESCO, and potential closure or downtime at Curtis Bay that could affect area hospitals. Elected officials expect to receive further information on the bill's fiscal effects soon, signaling intensified lobbying pressure ahead of a potential final vote that could take place as soon as next week.